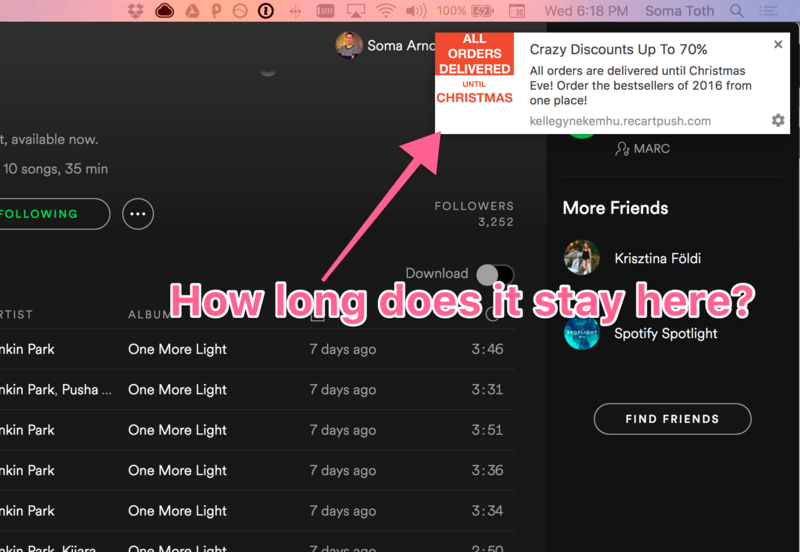 How long does Push Notification stay on the screen? This was one of the first questions in my mind when I first met web push notifications: When does it disappear? In other words: Recart pushes stay on the screen until a user interaction. Want to learn more about Push Notifications? Read my post and start using it today!